Description: The research department at CAF is issuing a call for research proposals on Human capital formation and youth access to high-quality employment in Latin America. Up to four winning proposals will receive USD 10,000 each to carry out their projects. This call aims at supporting research that contributes to a better understanding human capital formation and youth employability in the region, with particular emphasis in two areas: first, the links between schooling, skills and youth employment, and second, the accessibility to job opportunities for the urban and disadvantaged youth in Latin American cities. We will specially consider research proposals that present novel evidence for Latin America. Eligibility: We will specially assess proposals that present novel evidence for Latin America. Please review the attached documents for more information on the rules and conditions of this call. Description: Slow and diverging productivity growth is a matter of global concern. The 2019 Chilean Productivity Workshop aims at gathering researchers interested on issues related to, among others, measuring, understanding and improving the productivity and performance of firms and public services. This first version of the workshop is co-organized by the Chilean National Productivity Commission (CNP), Universidad de Chile, Universidad Diego Portales, and Pontificia Universidad Católica de Chile. We are pleased to announce that this year keynote speaker will be John Van Reenen, who is the Gordon Y. Billard Professor in Management and Economics, and is a jointly appointed Professor of Applied Economics at the MIT Sloan School of Management and in the MIT Department of Economics. Eligibility: We are particularly interested in theoretical and applied papers looking at drivers of productivity and evaluation of policies to enhance productivity. Description: The Financial Stability and Development Network of Central Banks of the Research Department of the Inter-American Development Bank (IDB), and the Central Bank of Chile, invite submissions for a research conference on “Financial Frictions: Macroeconomic Implications and Policy Options for Emerging Economies.” The conference will take place at the Central Bank of Chile on March 19-20, 2020. Papers presented at the conference will undergo a standard peer review process and, if accepted, will be included in a special volume of the Journal of International Economics. Eligibility: Please send an electronic version of the paper in PDF format to ConferenceCBC-IDB@bcentral.cl. There is no charge for submissions. The deadline for submissions is November 15, 2019. A submitted paper must not be under review at another journal or at the JIE, nor can it be considered for submission if previously rejected by the JIE. Likewise, while under consideration by the conference or for the JIE special volume, a paper may not be submitted to another journal (or the JIE) until the author has been notified. Submissions will be reviewed by the conference program committee. Paper selection will be finalized, and authors notified by December 15, 2019. 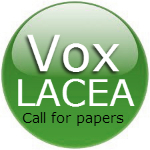 Description: Economia, the journal of LACEA is happy to announce that starting on February 1, 2017, the journal accepts submissions at any time. Submissions should be sent electronically to the Managing Editor, Roberto Bernal economialacea@gmail.com. Eligibility: We only accept complete papers in English. Submitted papers should neither be previously published nor be under consideration for publication in any other outlet. The manuscript should include an abstract of 150 or fewer words, JEL codes and at most 4 key words. All manuscripts should be submitted in PDF format with double spacing and should not exceed 35 pages, including references, figures, and tables. Please use 12-point font, and 1.5 inches margins on all sides. Please make sure that the front page of the manuscript specifies all your contact information, affiliation, title of the paper and co-authors. Description: The Global Development Network (GDN) is a public international organization that supports high quality, policy-oriented, social-science research in developing and transition countries to promote better lives. It supports researchers with financial resources, global networking, as well as access to information, training, peer review and mentoring. GDN acts on the premise that better research leads to more informed policies and better, more inclusive development. 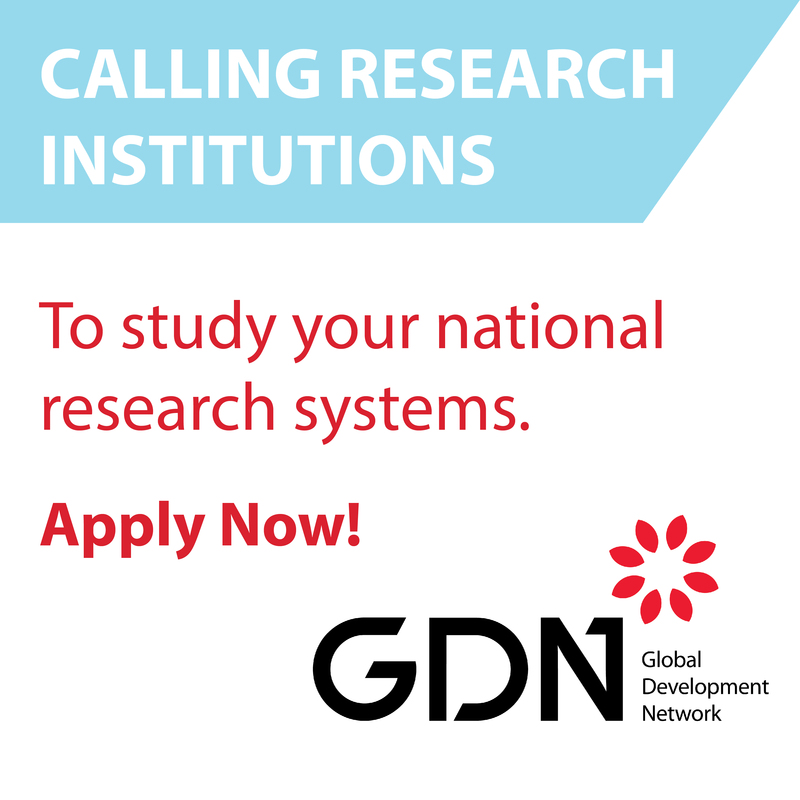 Through its global platform, GDN connects social science researchers with policymakers and development stakeholders across the world. Founded in 1999, GDN is currently headquartered in New Delhi. Description: On Think Tanks, University of Bath and Universidad del Pacífico have partnered to produce a series of Working Papers focused on the study of think tanks to give new researchers a chance to publish their ideas and reach a broader academic and practitioner audience. The Working Paper Series will allow On Think Tanks to promote the emergence of new research on think tanks and on evidence informed policy world-wide. Eligibility:he Working Papers will be drawn from submissions from researchers in the field, particularly individuals interested in publishing their post-graduate dissertations. There is no deadline for submissions and we will be reviewing them on an ongoing basis. To submit please email to Andrea Baertl at info@onthinktanks.org; subject line: Working Paper Series: “Title of your paper”; include your full name; email, address and mobile number; institutional affiliation; attach your paper; attach a 1 page summary of the paper (not an abstract but a full-summary including key findings/conclusions). Description: Do you enjoy reading books in economics, social science, humanities? Join our community of book reviewers! To join you must be an expert in one of the areas we publish (see list here) and be prepared to review at least one book every two years. Eligibility: To join please send a brief message expressing interest to: reviewers.community@vernonpress.com. In your message please mention your full name, academic affiliation, area(s) of expertise, and provide either a paragraph-long biographical note (and/)or a list of publications.